This 3 year old bald eagle was being stealthy. My friend spotted him way back inside the upper-story of a pine. The juvenile was strategically placed between 2 osprey nests. that the eagle could steal from the much smaller bird. 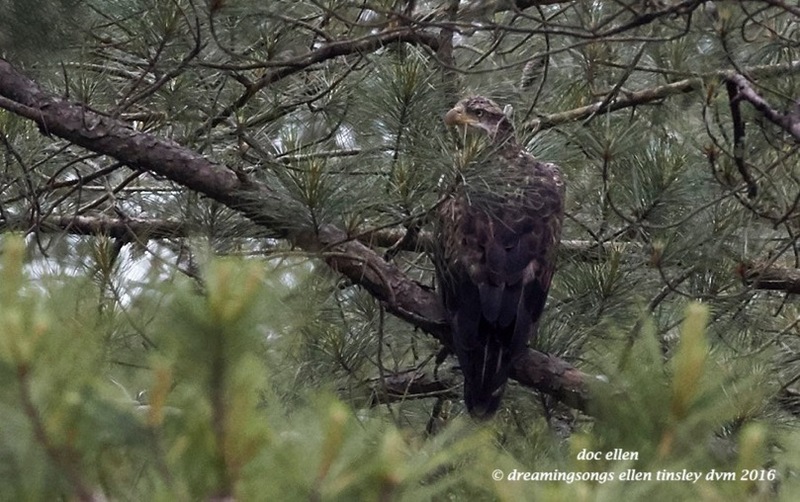 Posted in birds, Eagles of Jordan Lake, Jordan Lake, Jordan Lake State Park, photography, raptors, wild birds and tagged as American bald eagle, bald eagle, bald eagles of Jordan Lake, eagle, eagles of Jordan Lake, immature bald eagle, immature eagle, Jordan Lake, Jordan Lake State Park, raptor.